Height: 6 feet (2 m). Width: 10 feet (3 m). Spring through early summer, with a sprinkling of flowers continuing on through fall. 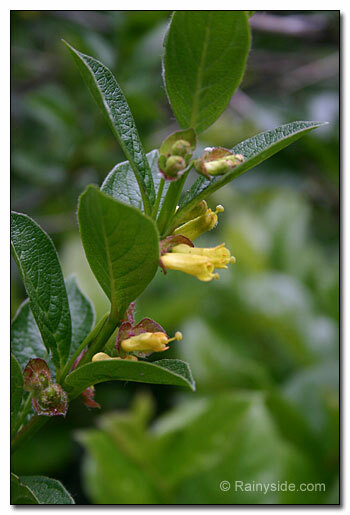 One-half-inch long, yellow, tubular flowers, surrounded by large green bracts are followed by 1/4 inch, glossy, dark purple to black berries surrounded by bracts that turn red. Ovate to oblong, lance-shaped, bright green leaves that are hairy underneath and along the margins. 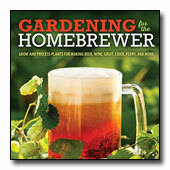 Sow fresh seed in Autumn and place in a cold frame. Softwood cuttings in late spring or early summer. 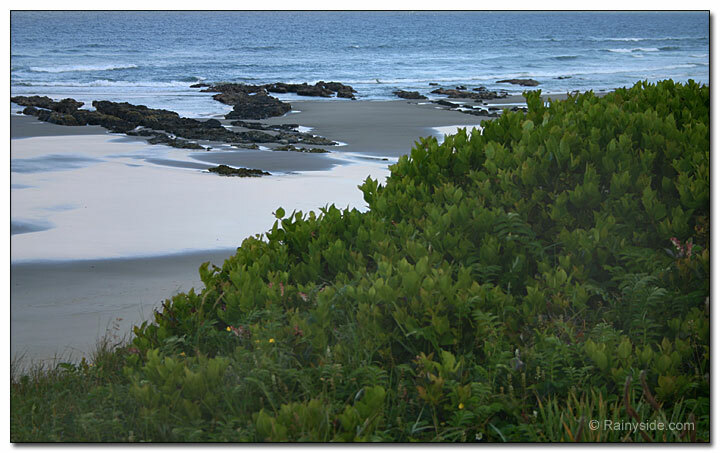 The first time I saw this shrub many years ago, I was walking along a path down to the beach on the Oregon coast. Berries covered the shrub, and there was a sprinkling of a few flowers. I admired this enormous honeysuckle thicket next to the ocean's edge, that our path went through. My husband and daughter left me behind and continued to the beach, as I stopped to delight in the unknown shrub and inspect the flowers and fruit up close. Many photographs later, I continued to the beach to catch up with my family. The rest of our vacation we returned many times to go to the beach and had the pleasure to walk through the beautiful thicket. As with most honeysuckles, the twinberries attract hummingbirds, bees and butterflies. 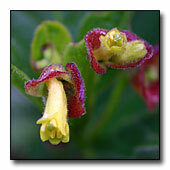 The flowers normally hang down in pairs, as its common name suggests. Although not as striking as most honeysuckle blooms, I find the flowers charming, nonetheless. 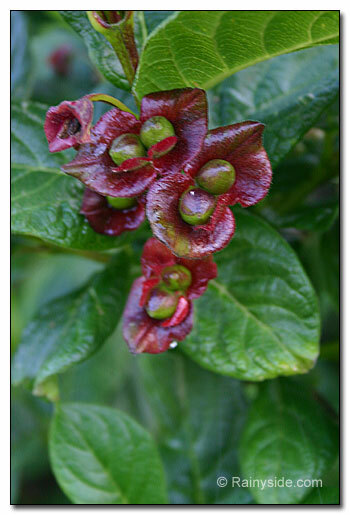 I especially appreciate the dark berries surrounded by the flamboyant red bracts. In its native haunts around the Pacific Northwest, it grows naturally in moist forests, clearings, streamside, and swamps, from low to sub-alpine elevations. It grows along ocean beaches and even in sand dunes. Drought tolerant once established, this native species does well in our Pacific Northwest gardens. 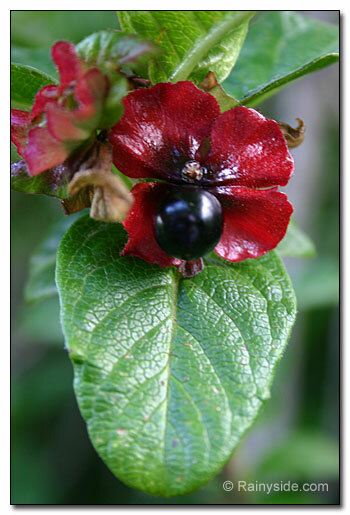 It will tolerate growing in a variety of soils, in full sun or partial shade. However, it will flower and fruit better with irrigation during our drier months of summer. 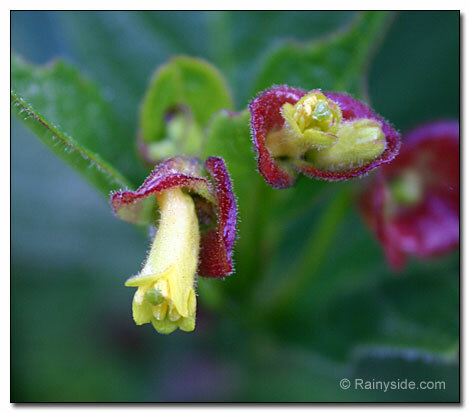 Photographed in author's garden and the Oregon coast.